There are two window warranty types that will typically come into play: the manufacturer warranty and the contractor warranty. Together, the two warranties should entirely cover your new window system, from installation to parts and labor. Manufacturer Warranties: The manufacturer warranty guarantees your windows against defects in the windows themselves. It’s important to note that to make sure this warranty is in full effect, you may need to work with a qualified contractor or installer. Additionally, a qualified contractor may be able to answer any questions about your windows’ manufacturer and their warranty policies. They can also help you register your warranty and help you get in contact with the manufacturer in case of a malfunction. Contractor Warranties: This type of warranty comes from your window contractor, and it guarantees their workmanship on the installation. These typically last for a year but may extend further. Moreso than manufacturer warranties, window contractor warranties are often negotiable to better meet your unique needs. Even if problems of workmanship arise after the window contractor warranty has lapsed, a trusted contractor will usually provide certain support. Both types of warranties should be available in detail for your review. These documents should list the problems and remedies that are covered in the agreement, the duration of the warranty, and how problems will be addressed. Though the exact terms of your window warranty will vary based on your contractor or manufacturer, here’s a brief list of terms you can expect to see. Lifetime Warranties: In the world of window replacements, “lifetime” refers to the amount of time your window manufacturer determines your windows can maintain maximum quality. Lower end windows can come with a limited lifetime warranty of only 3 to 5 years, while higher quality windows can be warrantied for decades. Certain window manufacturer’s warranties are prorated, meaning that over the life of the warranty the manufacturer covers a steadily decreasing percentage of the cost. Window Contractor Warranties: Window contractor warranties normally include free coverage for labor and installation-related issues for a set amount of time. Many window contractors provide their warranties in lieu of the “implied warranty,” which in the U.S. reasonably guarantees good workmanship. 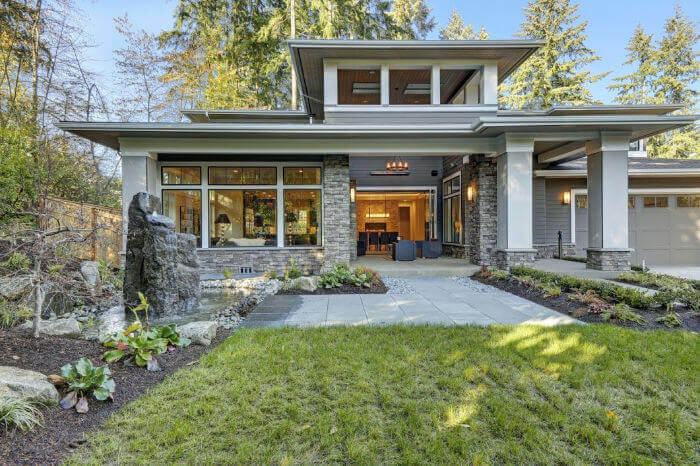 That’s why you may notice a caveat in your warranty that specifies homeowners are giving up their rights to the implied warranty by agreeing to the window contractor’s warranty. Transferability: Warranties also may or may not be transferrable, meaning they remain valid after the sale of your home. A transferable warranty is especially important to maintaining the added home value of your window upgrade. If your warranty expires under a new owner, it could impact the purchase price of your home. Some contractors offer a “double lifetime warranty,” meaning the lifetime warranty is transferable to the next homeowner. How do you know if a warranty option is right for you? The first step in evaluating a window warranty is to read it carefully. Window warranties can vary so widely, and it can be easy to become confused. To better understand the terms, we encourage homeowners to review warranties with their window contractor. A trusted window contractor can answer questions, help explain the differences in warranties from manufacturer to manufacturer and explain any language that you don’t understand. How long is the window warranty valid for? The scope of warranties often differs between brands and contractors. Find one that makes you comfortable that you’ll be getting all the bang for your buck in the long term. What components does the window warranty cover? Be sure to ask what parts are covered in your window’s warranty. Ideally, all parts will be protected under your warranty. Does the warranty cover labor? Similar to covering the various parts of a window, a manufacturer’s warranty may not cover the labor costs of replacing a defective product. Your window contractor may also have special fees related to labor in their warranty. Is the window warranty a limited warranty or full warranty? Windows with a full warranty should be replaced by the manufacturer or contractor in a reasonable amount of time. A limited warranty is more strictly regulated and may only apply to certain parts or specific defects. As with many home renovations, finding the right contracting partner will be a big help in nailing down your desired window warranties.